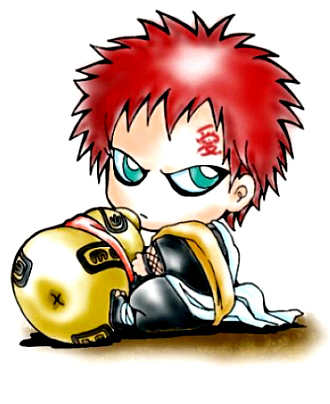 Gaara aka Gaara of the Desert is a 20 year old (DOB: July 14, 1998) pure-blood wizard living in Sunagakure. He wields a 16" Ash, Dragon Heartstring wand, and is a member of the unsorted masses of Hogwarts students just off the train eagerly crowding around the Sorting Hat. His favorite Harry Potter book is Harry Potter and the Deathly Hallows and his favorite Harry Potter character is molly weasley. Tail: both my mom and dad were death eaters. i grew up in a cabin and was only taught hate, pain, and to trust no one. when i was 11 the Ministry of Magic came and killed my mom but my dad got away and now i live with my aunt.